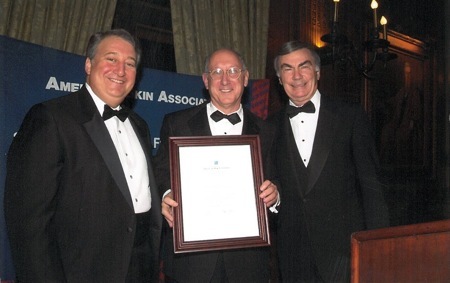 In 2006, the Milstein family launched a five-year grant supporting the work of Dr. Steven Rosenberg, Chief of Surgery at the National Cancer Institute at the National Institutes of Health. A clinician and a researcher with a degree in biophysics from Harvard, Dr. Rosenberg has been working on new approaches for treating cancer, based on the body’s immune system. The immune system attacks cancer through lymphatocytes. Dr. Rosenberg has genetically modified patients’ lymphatocytes to better attack the cancer. In so doing, he has developed new, highly effective treatments for melanoma. That research has resulted, among other things, in the publication of a dozen papers that have made major contributions to the field.